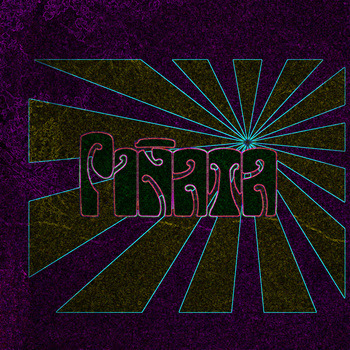 Piñata is a rock trio formed in December 2007, when brothers Suarez (Zemi and Ale), decide to return to start a band based on the raw sound, psychedelic trance and ambient, for that, at first count with Curly Gomez on vocals and second guitar Edu in January joins Lucho to the batteries. In June 2008, following the departure of Edu and Curly decide to park the project because the economic situation and did not give staff time to rehearse. A year later, in June 2009 to start from scratch again, a new form of writing and new ideas. In September begin direct the Alicante area, finishing the year with THE SAND COLLECTOR (Alicante) in Benidorm and LA IRA DE DIOS (Peru) in Gandia (Valencia). In 2010 act by the PARAMO (Madrid), PARKING STONE (Gandia), DOMO (Alicante) and at festivals BUILDING THE FORGE in Puerto Real (Cádiz) and AT THE CASTLE FESTIVAL Santa Pola (Alicante). In September 2010 removed the first demo and decided to park the project. "The fuzzy roar of the guitar echoes through you mind as you absorb the psyche-tinged Stoner rock jams these dudes embody. Sure there is your typical straight-up groove and skull-rattling hum, but this band turns it up by taking you into another dynamic dimension. Mostly instrumental with the occasional and albeit interesting vocal, this band is definitely a one to watch. I love the raw energy, glorious guitar buzz and ability to grab you with their groove. Check'em out!"